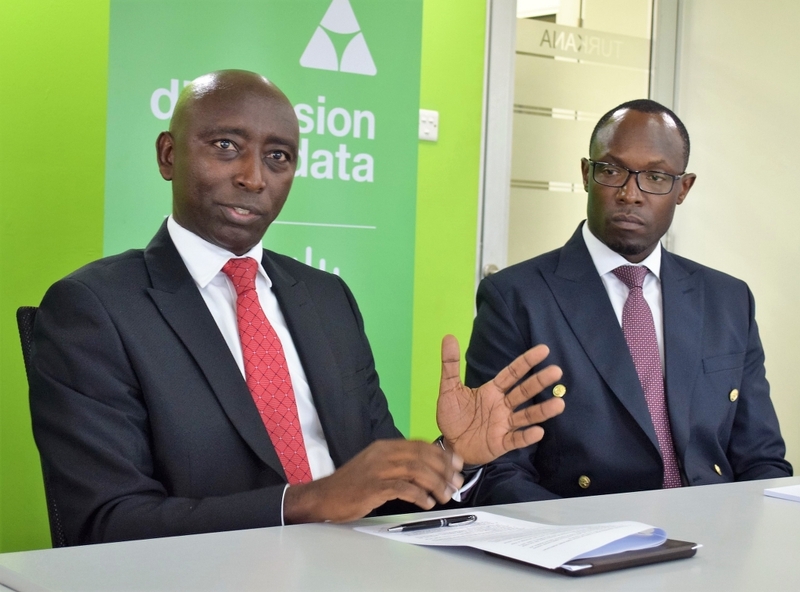 Dimension Data East Africa, trading as Dimension Data Solutions Limited will launch its digital business solutions in East Africa in 2019. Using big data and analytics, artificial intelligence and machine learning technologies the firm will start deploying niche solutions targeting its core client segments of financial services, public sector, telecommunications, and manufacturing in the region, with Kenya as the hub. “Digital services are a leading driver for the Kenyan economy today with the market value expected to reach USD 3,5 billion in 2019. This is projected to grow to USD 5 billion in 2022”, said Ndung’u Kahindo, General Manager, Solutions at Dimension Data Solutions. Working with key technology partners such as Cisco, SAP, Oracle and Microsoft, Kahindo explained that Dimension Data was keen to work with various stakeholders to replicate in East Africa the successes of its digital solutions services in other countries. “As the official technology partner for Tour de France, our cloud-based solution gives billions of cycling fans, media, and commentators access to accurate and secure rider data, including live speed, location of individual riders, and composition of groups. In South Africa, we have learnt valuable lessons on connected conservation, where in just two years, we helped reduce rhino poaching by 96% in the Kruger National park”, he said. Noting that East Africa was undergoing tremendous economic growth on the back of an innovative culture, and highly skilled workforce, Kahindo said 2019 was the most opportune time for the Information Technology (IT) Systems Integrator & Managed Services Provider to introduce the services within its niche, Large corporate, multinational and Medium size enterprises space. In November, Dimension Data East Africa was feted Africa Partner of the Year at the Cisco Partner Summit 2018, held in Las Vegas, United States. The company was honoured for demonstrating excellence in innovation, business growth, customer satisfaction and competitiveness based on Cisco technology. “We are delighted by the confidence the Kenyan and larger African market continues to show in our business transformation services. Even so we realize that businesses continue to face huge technology challenges, such as cybersecurity which remains the biggest threat in the Financial services, manufacturing and public sectors in the region”, said Kahindo. Insider threats due to poor network visibility and monitoring, malware downloads from malicious websites resulting from poor web traffic monitoring and email phishing were identified as the key cybersecurity challenges faced by businesses in 2018. Local industry experts estimate that financial losses due to breaches are expected to reach Kes 21 billion in 2018 up from Kes 17.5 billion in 2016. Kenya has remained largely reactive to cyber risks, a situation further aggravated by a severe shortage of security experts not only locally, but also globally. But with most companies not obliged to report financial losses, and related infiltrations these figures could be much higher, noting that mobile fraud, sim swap, SMS phishing and Internet of Things (IOT) breaches are rarely tracked or recorded. Dimension Data estimates that a ransomware attack occurs every forty seconds somewhere around the world. Recent efforts by the Central Bank of Kenya that introduced cybersecurity standards and guidelines in 2018 have however driven urgency and proactivity in addressing cybersecurity challenges in the local financial services sector. According to a cybersecurity report by business consultancy and research firm Frost & Sullivan, up to 62% of companies in Kenya have suffered at least one form of cyber breach before. The report notes that cybersecurity market in Kenya is worth about Kes. 43,6 billion, and expected to reach 52.5 billion in 2020, offering a huge opportunity for innovative solutions in the sector. ” From converged networks a few years back, we now have a vast ecosystem of hybrid infrastructures running on cloud, on-premise and mobile systems. This is only going to increase the pressure on data security as organisations seek to increase revenue and reduce operating costs”, explained Kahindo. In addition, the combined lack of a unified response by the security industry to threats, and diversification of illicit subscription services, automated software toolkits, and the ever growing online criminal support forums have also reduced barriers to entry for cyber criminals. “We need to make cybersecurity more intelligence-driven, so as to counter fast-moving and automated attacks while managing the ever-changing threat landscape. Intelligence is key to timely and predictive responses”, said Kahindo, adding that vulnerable sectors such as healthcare and professional services in Kenya need to emulate the financial sector. The Dimension Data cybersecurity rends report 2019 notes that by 2020, more than 60% of organizations are expected to invest in multiple data security tools, such as data loss prevention and encryption.